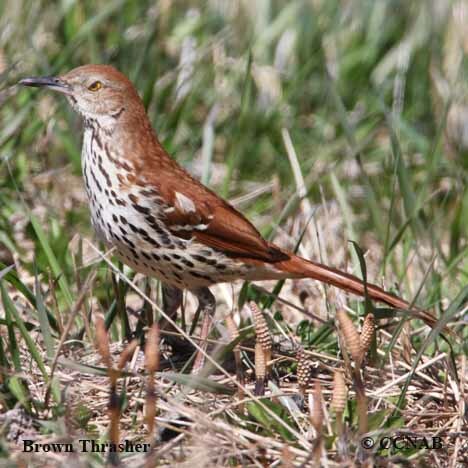 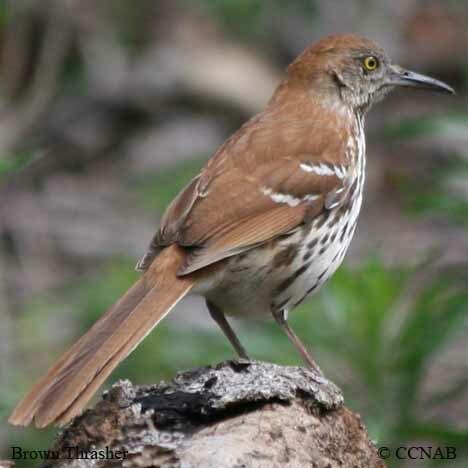 The Brown Thrasher is the most abundant and a rufous coloured thrasher seen in the thrasher family. 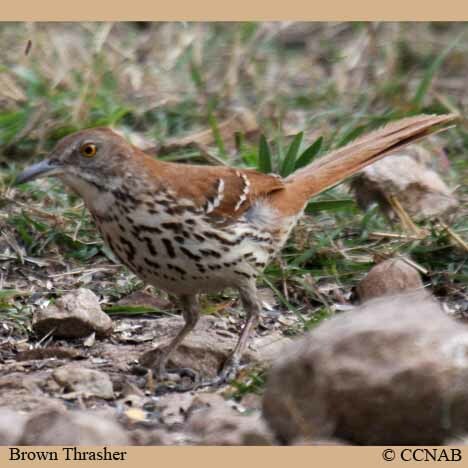 It is also the most northern thrasher in North America. 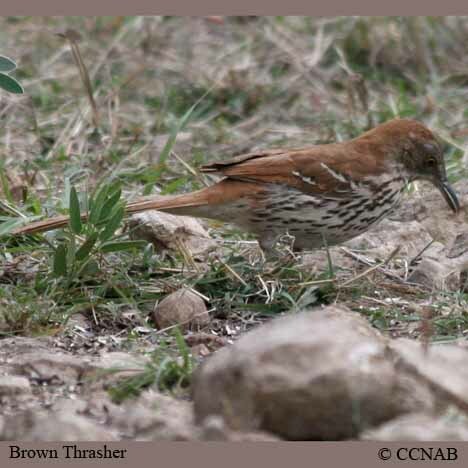 As like other thrasher species, this bird is a skulker, most often found in dense bush. 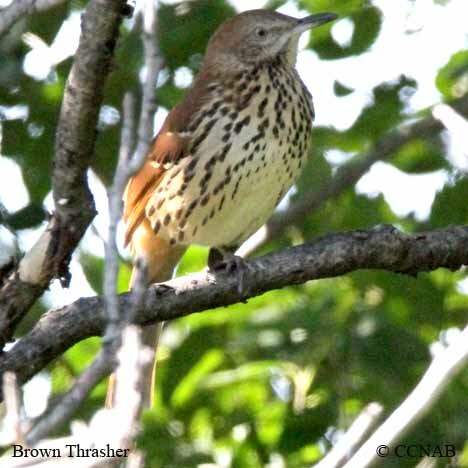 It is not uncommon to have them living in the treed bushes along homes, and not be seen by anyone.